that love and loveliness are one and the same thing. There was a tumult of applause at their entrance. My unexpected presence nearly spoiled their dance. I HAVE never felt any particular affection for professional dancers as a class, but when, on entering the Chat Blanc at Marseilles, Maurice rose from his table near the door to greet me, I felt constrained to exchange a few amenities. The meeting somewhat surprised me. Maurice, only a season before, had been one of the most popular young professionals upon the Riviera, and his name was continually being coupled with one or another of those society dames with plenty of money who have a fancy for making pets of their dancing companions. Furthermore, the Chat Blanc was far from most of the resorts of fashion, and Maurice's appearance, although he was neatly dressed as usual, nevertheless showed signs of waning prosperity. My greatest surprise, however, was when, after a moment or two's desultory conversation, he turned a little hesitatingly to his young lady companion, who was looking into her mirror and toying with a lipstick. "You remember Miss Hancock, Major Forester?" The young lady held out her hand, and I made a somewhat incoherent reply. If Maurice had been a successful male dancer, Sibyl Hancock was certainly one of the most admired of the English danseuses for many seasons. This evening, however, she was barely recognizable—the ghost of herself—thin, with sharp lines, and that indefinable look of age which illness leaves. There was something else about her too which seemed to account for her complete loss of charm. Her use of cosmetics had become too undisciplined; even her voice had a little rasp in it which I never remembered. In short, in place of a very attractive young woman, in the early twenties, I should have taken her today for a woman of altogether a different type, approaching middle age. "You didn't remember me. Major Forester," she complained. "I didn't," I admitted. "You see, I've been away a good deal, and I thought that you were still at Monte Carlo." "We finished there last season," she answered, fidgeting with her rings. "They wanted us back again at the Café de Paris, and the Carlton, but we thought we'd like a change. I daresay we shall be there again next season." "Are you doing a show here?" I asked, trying to keep up the semblance of credulity and interest. "Not every night," Maurice intervened. "Sibyl has been ill and she doesn't feel quite up to it yet." At that moment a maître d'hôtel tapped him upon the shoulder, and indicated a table close at hand where two elderly ladies were seated. Maurice hurried off with a little bow. "You will excuse me," he murmured. "One of my clients...."
"Sit down for a minute," Sibyl Hancock begged. I accepted her invitation, and called for the wine list. "Have you supped?" I asked. "Not yet," she admitted with a curious little gleam of anticipatory satisfaction in her eyes. "We were just thinking about it." "You must let me be your host," I begged. She accepted without hesitation, and again something in her expression made me feel a little uncomfortable. I ordered some caviar, some cutlets and a bottle of champagne, and in obedience to her gesture the waiter removed the carafe of vin ordinaire which had been standing upon the table. "Maurice and I are not quite so spoiled as we used to be," she confided nervously. "You didn't recognize me, did you, Major Forester, when you first came in?" "Not at once," I admitted. "I have been ill for seven months," she went on. "I haven't really recovered yet, but Maurice would have had to find another partner if I had been laid up any longer, so I do my best.... You still dance?" "As badly as ever," I regretted, "but if you will?" I have a certain amount of instinct in some things, and I knew very well that the suggestion of dancing—once it would have been considered rather an honor to dance with Sibyl Hancock—was made for the sake of the customary douceur, and I was convinced also that if I had not happened to come along supper would have been a somewhat meager affair. For some reason or other the two had fallen upon evil times. The Chat Blanc, although popular enough in its way, was a café for the people and not to be compared with the fashionable rendezvous of the Riviera. The decorations were tawdry and a little shabby; the service and the table appointments were second-rate. The walls were ornamented with huge pictures of simpering, naked women, with here and there an attendant sprite, and at the end of the room was a representation of an immense white cat, the presiding genuis of the place. The young men seemed mostly of the shopkeeper class, but even they showed no signs of pressing their attentions upon my companion. She sat after the dance looking round the room with a tired yet wistful look in her eyes. As soon as the wine came she drank a glassful eagerly, and I noticed that Maurice, as he passed with one of his clients, looked at her with some anxiety. He rejoined us before supper was served, and I caught something of the same expression in his face as I had seen in hers when I had mentioned food. He tried to explain the sudden gleam in his eyes. "I had a headache this morning, and went without luncheon," he said. "I am never hungry in the middle of the day," Sibyl observed, stretching out a not too steady hand for the toast. Their manners, as always, were excellent, yet I came to a rather terrible conclusion before the meal was over: they were without doubt half starved. Now, I had never been particularly intimate with either Sibyl Hancock or Maurice, but the next night found me back again at the Chat Blanc simply with the idea of seeing them. Sibyl was dancing with a heavy, loutish young man in morning clothes and thick brown shoes—an enterprise which in the old days she would have avoided with horror. Maurice was sitting gloomily alone at his table. He brightened up, however, when I arrived. I ordered wine and supper. He leaned toward me, and, after a moment's hesitation, asked me a question. "You find Sibyl very changed, Major Forester?" I looked around to be sure that she was not within earshot. "I'm afraid I do," I confessed. "She has been ill, I suppose?" "Very ill," Maurice replied. "Not only that, but—she became just a little inclined to drink more wine than was good for her." "Of course the life is most unsettling," he continued in apologetic strain. "If I had any natural taste for drinking, it would be just the same with me. We are all expected to accept if anyone offers us wine. I'm afraid that's how Sibyl got into the habit. She's better now, though," he went on— "much better—and, although the people here won't believe it, she can still dance,"
The manager came hurrying up. He spoke to Maurice in French, and, against my will, I was obliged to overhear the whole conversation. "They are asking tonight for the Basque dance," he said. "You will dance it with Mademoiselle Claire there." He nodded across the room to where a fair and very pretty girl was supping alone. "You must excuse me, monsieur,"
Maurice replied nervously, "but I cannot do that. I am under contract with Miss Hancock to do exhibition dances with no one else." "But that is ridiculous!" the manager exclaimed. "No one would look at Mademoiselle Hancock dancing. Her dress is not good enough, nor is her appearance attractive. With Mademoiselle Claire, on the other hand, you would be sure of a grand success." "It is quite impossible," Maurice insisted. "I can assure you that if you will allow me to dance it with Miss Hancock, the public will approve." The manager scowled for a moment. "If you will pardon my interference. Monsieur Basset," I said, "it would give me very great pleasure to see Miss Hancock dance. In fact, I came here tonight in the hope of seeing these two young people perform, as I have done very many times before in Monte Carlo and Cannes." The manager made a little grimace. "That was in the old days, sir," he remarked. "Miss Hancock has lost her looks and dances like a stick. Still, if Monsieur desires, it shall be so—but if you have no success," he added, turning to Maurice, "it must be for the last time." He took his leave. Maurice drew a sigh of relief. Almost immediately afterward, however, the old anxiety was back upon his face. "It was kind of you. 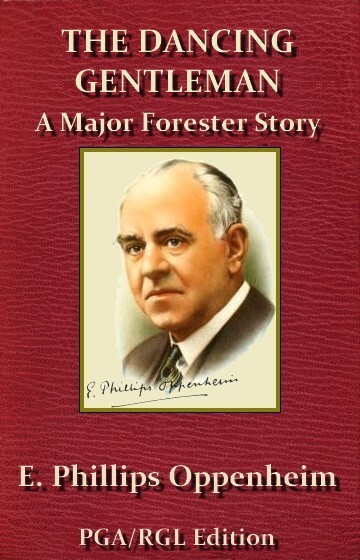 Major Forester," he acknowledged. "Of course one can't pretend that Miss Hancock is quite what she was, but she is still Capable of dancing beautifully. It is a chance for us at least. To tell you the truth," he added, "we came here to do exhibition dances, but the first night was not a success, and we have not been allowed to dance since. They just let us sit here and earn anything we can. Please don't let Miss Hancock have an idea of this," he concluded in an undertone as she approached. The young man with whom she had been dancing left her at our table. She greeted me warmly. Maurice assumed almost a boisterous air. "Good news, Sibyl!" he announced. "They want us to do the Basque dance." There was a little rush of real color to her cheeks and a momentary impression of the Sibyl of other days. "I must fly!" she exclaimed. "Fortunately I have my dancing shoes here. If only I had worn my yellow dress!" "I like that one better," Maurice assured her. "I'll meet you in the hall when they give the signal." She hurried away. Maurice drank half a glass of wine, but it was obvious that he was nervous. "Sibyl is not so easy to dance with since her illness," he confided, "and it is a dance which few others attempt. I hope that the audience are in a good humor." He looked around the room anxiously. "If you will excuse me, Major Forester," he said, rising, "there are one or two people here I know slightly. Just a word or two about Sibyl's illness, and this being almost the first time she has tried to dance since, may help us." "Don't worry too much," I begged him. "I am sure you will have a suc- cess." Maurice moved round the room exchanging a few words with acquaintances. Then he disappeared, and in a minute or two the familiar signal was given. . . . I am no judge of dancing, but it was obvious from the first that Sibyl was attempting something beyond her present capacity or strength. Her smile was so fixed that it was almost grim—in the limelight mercilessly thrown upon them the anxiety of her expression seemed almost ghastly. Maurice, on the other hand, danced magnificently. He was all the time supporting his partner—a marvelous background—lending even to her performance a certain reflected charm. When the dance was over and he held her hand, I saw him glance round the room with a quick wistfulness, unrecognizable by those others, but to me, who was a little behind the scenes, ineffably appealing. The applause was at first very half-hearted, but by strenuous efforts I managed to make enough noise to bring them back again on the floor. They disappeared, however, without attempting an encore. The patron, who had been standing near, approached my table. "You see how it is, monsieur," he said gloomily. "Maurice is magnificent, but she has lost the art as well as her appearance. It is strange how obstinate he is. I have Offered him the full sum for which I engaged them—two milles a week—if he will dance with Mademoiselle Claire there. He is a fool." I looked at the patron, who was a pudgy little man with a disagreeable expression, and I suddenly hated him and the whole atmosphere of the place. "I am not so sure," I answered. They came back presently. I shook hands with both of them and did my best to assure her of a complete success. Maurice was still breathing heavily. "It is a difficult dance," he said. "I could not dance it with anyone in the world except Sibyl." She suddenly leaned across and patted his hand. Her face softened. She was once more beautiful. "I wonder!" she murmured, and her eyes seemed to be trying to tear the truth from him. Hers was the most pathetic expression which can ever creep into the face of a woman—the expression of one who wants so much to believe, but is tormented by some sinister doubt. AT twelve o'clock on the following morning I called in, according to my usual custom when in the city, at that very superior bodega in the Rue de France for my morning apéritif. A beautifully-dressed young woman, seated upon the next stool to the one I annexed, leaned toward me and smiled. I remembered her at once as Mademoiselle Claire at the Chat Blanc. "Monsieur enjoyed the dancing last night?" she asked inquisitively. "Immensely," I answered. "I have always been a great admirer of Maurice and Sibyl." She indulged in a little grimace. "Listen, my friend," she said, tapping my coat sleeve, "those days have gone by. Sibyl does not exist any longer. She has been ill and lost her looks. She has taken too much wine. She has no money to buy clothes. Even Maurice has lost some of his charm, but he can still dance. He is marvelous. Monsieur is a friend of these people, is it not so?" I admitted the fact. She moved her stool a little nearer to mine. She was very expensively dressed; her pearls were magnificent; the perfume from the great bunch of violets she wore was pleasant. There were jewels on the collar of the little dog she held under her arm. "If you are their friend," she continued, "you can do Maurice a great benefit. The patron of the Chat Blanc is my friend. Monsieur understands?" "Now, I have made up my mind," she announced, with a slight hardening of face, "that I will dance the Basque dance with Maurice. There is no one who dances like him, and he attracts me. It is only because of your urging that Sibyl was allowed to dance last night. She shall not dance there again." "But is that kind, mademoiselle?" I ventured. "Besides, she is Maurice's friend." Mademoiselle's little gesture was full of contempt. "Zut! What does that matter?" she rejoined. "I tell you that she is too old and ugly to dance, and I have told Monsieur le Patron that she shall not dance any more at the Chat Blanc. If Maurice will not send her away, he shall go too. I have made up my mind, and what I say to the patron happens. Now, you are their friend. You should tell him what is the truth—that he loses even the little position he has there if he comes any longer with Mademoiselle Sibyl. If, on the other hand, he is willing to dance with me, Monsieur le Patron shall give him three milles a week. Monsieur understands? It is one thing or the other." "I think that it will be the other," I told her gravely. "If so, then Maurice is a fool!" "On the contrary," I replied, finishing my vermouth, "I am beginning to discover that he is a gentleman...."
Mademoiselle turned her shoulder upon me, and favored me with no more of her conversation. I returned to my hotel to find, somewhat to my surprise, Maurice awaiting me in the hall. He rose apologetically at my entrance. "I wondered whether you could spare me a minute, Major Forester?" he asked. I could scarcely keep from smiling when I thought of the old days when he sauntered through the lounge at the Hotel de Paris, accepting salutes where he chose. Nevertheless I liked him better now. "Of course, Maurice," I acquiesced. "Come along to the bar." I led the way, but he declined a drink. He seated himself in an easy-chair close to mine. "I am in a very terrible difficulty, Major Forester," he announced. "Last night, when we were leaving, the patron called me into his room. He presented me with an ultimatum. I am dismissed unless I consent to dance with Mademoiselle Claire." "And naturally," I remarked a little tactlessly, "Mademoiselle Sibyl objects." "Objects! But do you suppose, sir, that I would put such an affront upon her?" he demanded indignantly. "She has been my partner for four years. We have had great success together. She has been ill; she has been a little foolish; she has lost temporarily something of her charm. That I will admit, but none of these things is any reason why she should be asked to accept an intolerable affront. It is not possible." "Then you have declined the patron's suggestion?" "He asked me to give my answer tonight. I should have given it to him on the spot, but I suddenly remembered that coming to the Chat Blanc this evening meant one more bottle of vin ordinaire and two sandwiches. We shall have those, and then we shall leave the place together—unless Monsieur le Patron changes his mind," he concluded wistfully. I considered the matter for a moment. "Look here, Maurice," I said, "I gather that you haven't very much money?" "We have nothing, sir," he acknowledged simply. "I don't know how we shall pay our bill at the hotel. I haven't an idea how we shall get a railway ticket for anywhere." "Under the circumstances," I suggested, "don't you think that if you explained the whole matter to Sibyl she might understand?" He looked at me stonily. "I would sooner die than do such a thing," he retorted. "You are not quite so understanding. Major Forester, as I imagined. I should have thought you would have known that for me to breathe a word of such a thing would be like a stab into her heart." "But you must live," I persisted. He paraphrased—I am convinced unconsciously—a famous saying. "Sometimes I doubt the necessity," he replied. I leaned back in my easy-chair and smoked thoughtfully for a moment or two. It seemed such a queer little drama to stumble up against, such improbable characters, such vital human nature. And Maurice too! I thought of the days of his pearl studs, his bejeweled cigarette cases, his motor car —the gift of a crazy client—the ovation he always received when he entered one of that select little group of restaurants. He was seated by my side now, looking very grim, yet with a pathetic twist to his lips. His linen was clean but a trifle frayed; his well-brushed blue serge suit was shiny at the seams; his patent-leather shoes were cleaned with skill to conceal the cracks. "Can you suggest any way in which I could help you, Maurice?" I asked at last. "I tell you frankly that I should like to. I've tried to give you the advice of a man of the world, but if you will allow me to say so, I respect you for having rejected it." There were tears in his eyes as he looked across at me. "It makes me very glad to hear you say that, sir," he acknowledged. "I felt that you must understand. In the olden days, when we were successful and popular wherever we went, I was fond of Sibyl—but there were others. Now she is, as you see, down on her luck. She has no one but me. I could not dream of deserting her." "But what is to be the end of it?" I asked him as gently as I could. "You admit that you have no money. A temporary loan would be soon gone, and you would be no better off. How are you going to carry on?" He rolled a cigarette and smoked for a minute meditatively. "I lived in the country once," he confided. "My father was a land agent. He used to take me out shooting. I have always wondered—I have never ceased to wonder—what became of the old partridges and pheasants each year. They couldn't all be killed, and you never saw them lying about. They just crawl away to some hole to die. I daresay it will be like that with us. I believe that Sibyl would prefer it to my taking another dancing partner, and as she wishes so it will have to be." I made none of the obvious replies. I was studying his expression, comparing his present-day appearance with the ap-7pearance of the handsome, prosperous young dancer, the Beau Brummell of the Riviera. I liked him better as he was. "Shall we see you this evening, sir?" he asked, after I had forced him to drink a glass of port wine. He took his leave, and, acting upon a sudden impulse, I made my way to the shipping office, where I had recently booked my cabin for a tour round the world, and had an interview with the manager. Afterward, a little ruefully, I must confess, I returned to my rooms, and began to remake my plans for the winter. It was later than usual when I reached the Chat Blanc, but neither Maurice nor his partner was to be seen. I made my way to their table. It had apparently not been occupied. Monsieur Basset came up to greet me with some reluctance. "I was looking for Maurice and Miss Hancock," I explained. "Are they not here?" "Monsieur," he said, "of all the ungrateful ones! I offered Maurice three milles a week to do this Basque dance with Mademoiselle Claire. He refused. That being so, I had no alternative. I have shown them the door. They are not welcome here any more—except as guests," he added, with an unpleasant little grin. I took back my hat and stick from the page boy who was waiting also for my coat. "Perhaps you can give me their address," I demanded. "Monsieur," he began, "you are a valued patron. I beg that you will not take offense at an action which was forced upon me." "Monsieur Basset," I replied, "it seems to me that you would have done better to have appreciated Maurice's reasons for refusing your offer and not to have listened to your lady friend." "You can perhaps give me their address," I repeated. He shrugged his shoulders. I think he realized that there was nothing to be done with me, so he turned away. "I have no idea where these people may be," he declared insolently. "Monsieur can perhaps find out from some of the waiters." I left the room, ignoring a half-quizzical, half-triumphant greeting from Mademoiselle Claire. From the commissionaire, after some difficulty, I procured the address I required. A quarter of an hour later I was making my way up the bare, crazy stairs of a small hotel in the lowest quarter of the town. I felt ashamed, when at last I reached the apartment on the fourth floor, to knock at the door, but I summoned up courage and did so. There was a somewhat startled "Entrez" in response to my knock. I opened the door and closed it behind me. Maurice, coatless, was on his knees, holding a small saucepan over a gas fire. Sibyl was seated upon a dilapidated cane chair, looking out of the uncurtained window. She had washed the rouge from her face, and more than ever I realized the pathos of her hunger-sharpened features, the sad drooping of the lips, the hopeless, almost sullen expression in her eyes as she gazed down upon the panoramic medley below. Maurice sprang up at my entrance, nearly upsetting the saucepan. Something that was almost a blush stole into his cheeks. The girl for a moment seemed inclined to treat me as an intruder. I thrust aside the idea of anything so small as an apology, drew a chair up with me, and seated myself between them. "Listen, young people," I began, "I feel that I can say what I like to you, because I am almost old enough to be your father, and it's never any use shying at the truth. You are both up against it and will do no good for yourselves in any ordinary fashion. Sibyl needs a change before she will recover her health, and unless you get some nourishing food and have a holiday, before long you'll be in trouble too, Maurice. Now I'm going to make you a proposition." Despite themselves eagerness shone out of their faces. Maurice laid down the saucepan. Sibyl was breathing quickly. "I had made up my mind," I went on, "to take a tour round the world in the Merconia, a steamer which leaves here next Thursday. I had paid for my passage, and everything was arranged. Now I find that it will be inconvenient for me to leave. I have changed my stateroom for two smaller ones, and I suggest that you two occupy them in my stead." "But, Major Forester," Maurice gasped, "it would be wonderful, only—" He hesitated. "Oh, I know all about that," I interrupted. "You see, your fares are paid right back to Marseilles. You won't need to bother much about the excursions, and you will find the food on the ship excellent. I had reserved two hundred pounds for myself for tips, drinks and small expenses. That I save because your two rooms do not come to as much as the one I had selected, and the money is deposited to your credit with the purser. There is only one condition." "It is not my business to pry into your secrets," I said, smiling, "but to obtain your passports and travel comfortably you ought to pay a visit to the English clergyman here." The girl rose to her feet and came toward me with her arms outstretched, and I knew at that moment why the whole world had found her beautiful. I seemed to feel too that one day she would be beautiful again. After all, my self-sacrifice cost me nothing, for immediately I had settled down in somewhat humble winter quarters at Venice, a relative died unexpectedly and left me a legacy of two thousand pounds. I did not hesitate for one moment how to spend a portion of it, and I embarked upon an even longer cruise than the one I had first contemplated. I gripped the arm of the friend with whom I had been walking. "Are they the same dancers who were down here two or three years ago?" I asked. "They had a great success then," he remarked, "but they disappeared for a time. It seems they were touring in South America. They are better than ever now. If you thought of going, we'd better telephone for a table...."
I THINK my unexpected presence for a moment nearly spoiled their dance. They came on to the floor together—Maurice, handsomer even than in his palmy days, with an added attractiveness in his face, which everyone talked about but no one could analyze, and Sibyl, rejuvenated, with all the old charm, as fresh and dainty as ever. There was a tumult of applause at their entrance. The music had already started. Both were swaying to its rhythm when Maurice—no, I think it was Sibyl first—caught sight of me. Maurice had presence of mind enough to signal to the leader of the orchestra, whose music at once stopped. They both came across the floor to me. "All owing to you, sir," Maurice said simply. Sibyl only raised her fingers to my lips and smiled into my eyes as a woman smiles seldom in her lifetime. Then they danced, and those who did not know me by sight were wondering who the middle-aged gentleman might be who had been so favored.